Here we have Tudor’s answer to the Rolex Daytona – the Tudor 79170 Big Block chronograph. 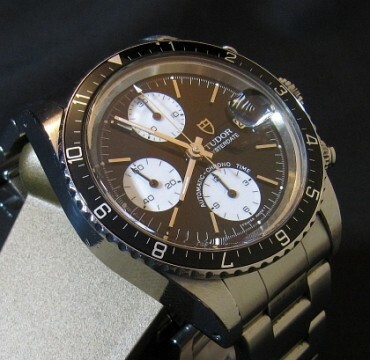 I do love my Tudor Big Blocks and have had every version. For me the case size is just perfect. Not too big like some modern Rolex but not to small like some vintage Rolex Daytonas and pre-Daytona. They really are value for money too and have been holding their values and steadily rising over the last few years. 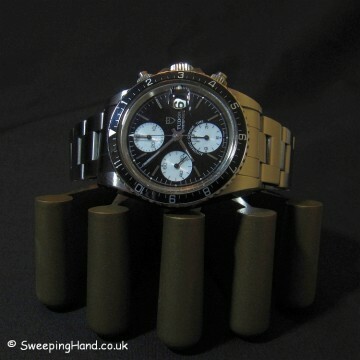 All the looks of a much more expensive Rolex watch but at an affordable price. This one is the black dial version with rotating black bezel that is always in high demand. 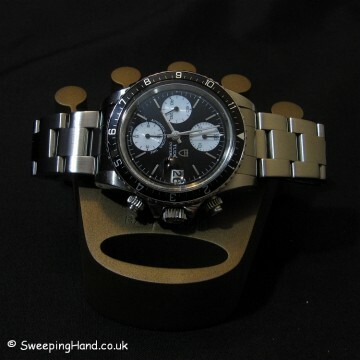 A one owner watch dating to 1993 with the correct B serial punched papers, inner and outer boxes, wallet, booklet and guarantee paper. 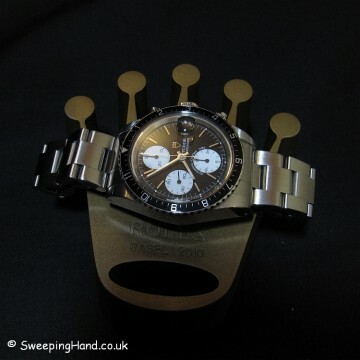 Never polished this has a fat case that us collectors crave so much! A really nice full collector set. 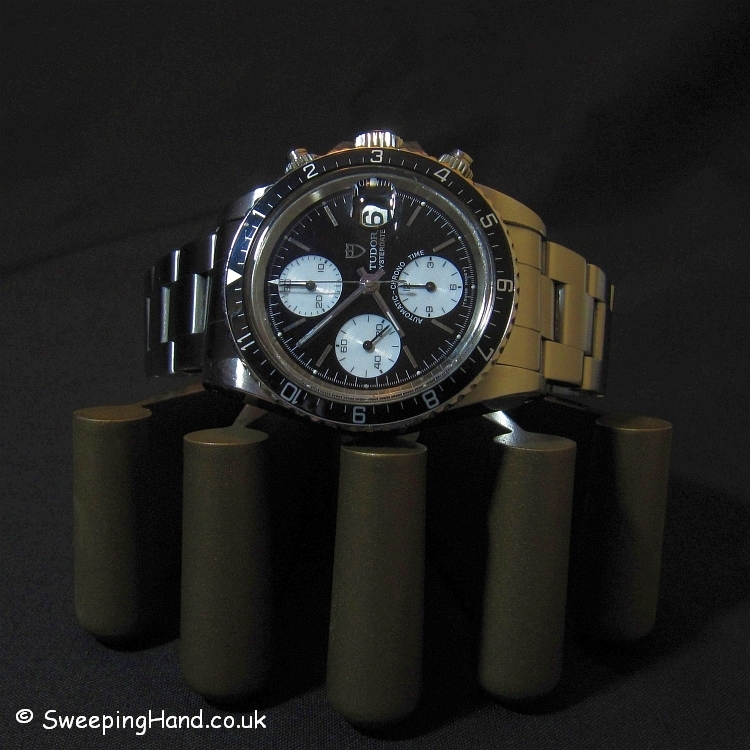 Dial & Hands: Unmarked black dial with perfect white sub dials, perfect tritium markers and hands. Case & Caseback: Unpolished Tudor Big Block case and case back with Rolex engravings. Rotating black bezel. 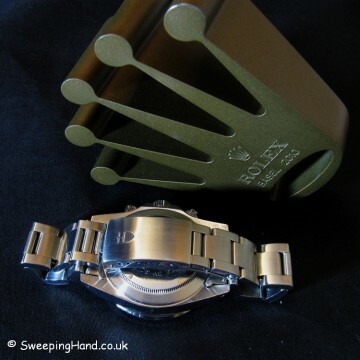 Bracelet: Excellent Rolex 78360 bracelet with 589 end pieces. Movement: Well respected Valjoux 7750 movement keeping good time. 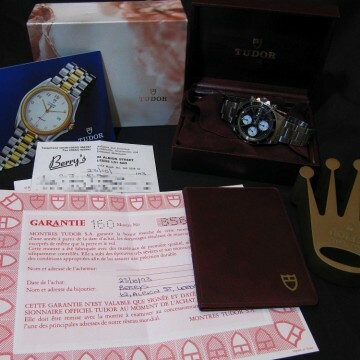 Box & Papers: Original inner and outer boxes, original punched warranty certificate, Tudor booklet and wallet. If you are looking to sell your Tudor or for a Tudor buyer in the UK then please get in touch. 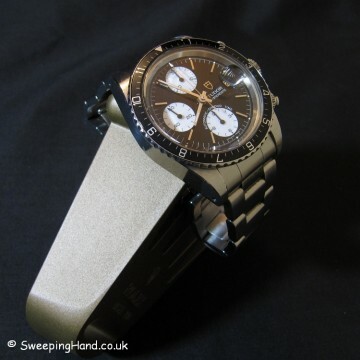 We can help with your Tudor watch value, offer the best price and organise purchase of your Tudor watch quickly and with immediate payment. Many references available from satisfied clients worldwide.